Faster Payments – Will tech eat the banks? At last the big, big tech companies are driving the US Federal Reserve to sponsor and get behind a faster payments initiative. Amazon, Apple, Google, PayPal, Square, Stripe and Intuit, have all co-signed a letter supporting the the Fed being in charge of the development of a system that can connect all the banks and credit unions in the U.S. to speed up payments. I’ve long complained here that the US System is laughably out of date, and the system Automated Clearing House and its associated network is still loosely based on the delivery times of the Pony Express and definately around checks. The ACH itself still describes itself as a using batch processing and a store-and-forward system. And that’s exactly the problem, the store-and-forward part and the regional centers deployed to support it are largely based on the old Pony Express delivery model. The ACH and it’s partners have pivoted since the push by the tech giants, to lauding their fraud and safety. Largely the only reason they can is because of the huge inefficiency and delays built into their system, rather that the inherent security qualities they’ve developed. While a fast payments network should not be implemented over the public Internet, it’s simply both unbelievable, and unacceptable that my bank cannot not directly send money from my account to your account. This isn’t about Bitcoin and similar nonsense, it does require databases that have the attributes of a Blockchain, but it doesn’t require a Blockchain. This isn’t spin to invest in some imaginary new technology, it is merely a plea to move to a modern switching network, with updated apps. I don’t transfer money around in Europe or the UK anymore, maybe once a year or so. However, I’ve been able to use the UK Fast Payments network via my UK Bank, FirstDirect, to instantly pay other banks/accounts in the UK, as well as transfer money from UK Pounds Sterling to Euro’s in a German bank in less than 2-hours, all at not cost to me, and using a single system, rather than a secondary system, branded app, or external service. Faster Payments isn’t just a year or two ahead of the US, it’s currently celebrating its 10th Anniversary, and will likely be on its 15th before the US has anything. That’s mostly why services like PayPal, Stripe, Square, PopMoney exist. To allow the banks and credit unions offer a service they themselves can’t offer. Also, when originally launched it was a way of charging extra for a service that was faster and more flexible than their ACH system offered. Any institution currently charging for these services is charging for lipstick on a big now. 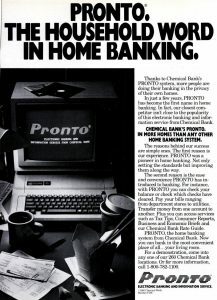 I first came to the USA in 1983 to work on the server-side of worlds first home banking system, Pronto, at Chemical Bank in New York; in 1987, I was hired by IBM UK in their London Banking Branch, to help London banks like Lloyds Bank, NatWest and TSB, as well as Abbey National, prepare their systems to start Year 2000 (Y2K) testing. 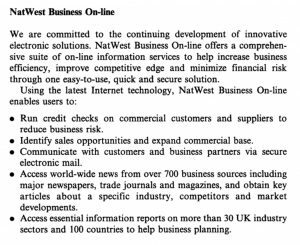 Finally, in 1998, was the Chief Architect for IBM in their NatWest (Business) Online implementation. The first at-scale version of Internet banking at National Westminster Bank, after failed projects by Sun Microsystems and Microsoft. I have some idea of the complexity of updating and integrating batch, hub and spoke systems, it’s no cheap or easy. While it’s easy to assert the banks don’t want to change because as everyone believes, “they are making money out of the delays”. They are really not, in any meaningful way. What they are doing is simply avoiding making key investments and dressing it up under the guise of safety and security. Now they are blaming the “lack of a mandate“. And that’s what is likely to be their undoing. They’ll continue to push back and resist, until so much of their business has shifted to non-core systems. While the likes of Amazon and Google have to be in the ACH, and have Fed backing and security, they can increasingly provide a home run around the traditional banks. 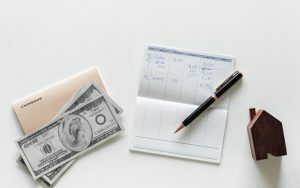 Author Mark CathcartPosted on January 28, 2019 January 28, 2019 Categories banking, technologyTags ach, banking, chemical bank, finance, internet, natwest, nwol, pronto, regulationsLeave a comment on Faster Payments – Will tech eat the banks?